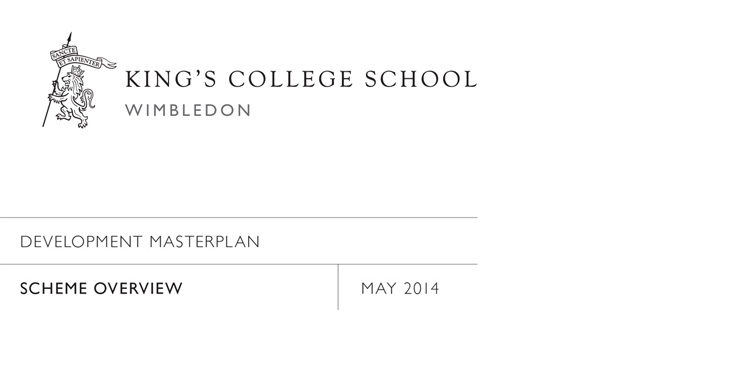 King’s College School Wimbledon have produced an ambitious ten-year masterplan that ensures their facilities match up to the school’s excellent reputation and academic and extracurricular standards. We worked with them to create a suite of materials to convey the school’s ambitions, outline the projects and to raise awareness of the need for financial support from the wider KCS community so that the school can build a secure financial future. We created a Renewal Programme identity, a simple marque that has been applied to a range of communications from leaflets and brochures to banners and building site hoardings. The Renewal Programme is broken down into project phases and the identity carries through to each individual project number, creating a strong visual language across the campaign of materials. To date half of the projects have been completed within their original timeframes and philanthropic support is still gathering pace. 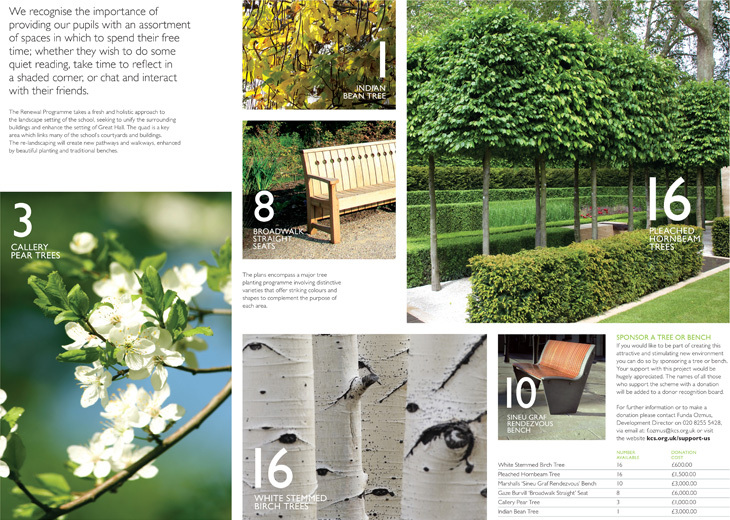 An initial fold-out brochure to outline all of the projects involved in the Renewal Programme, akin to the design of an architects plan. Individual project area marketing comms. 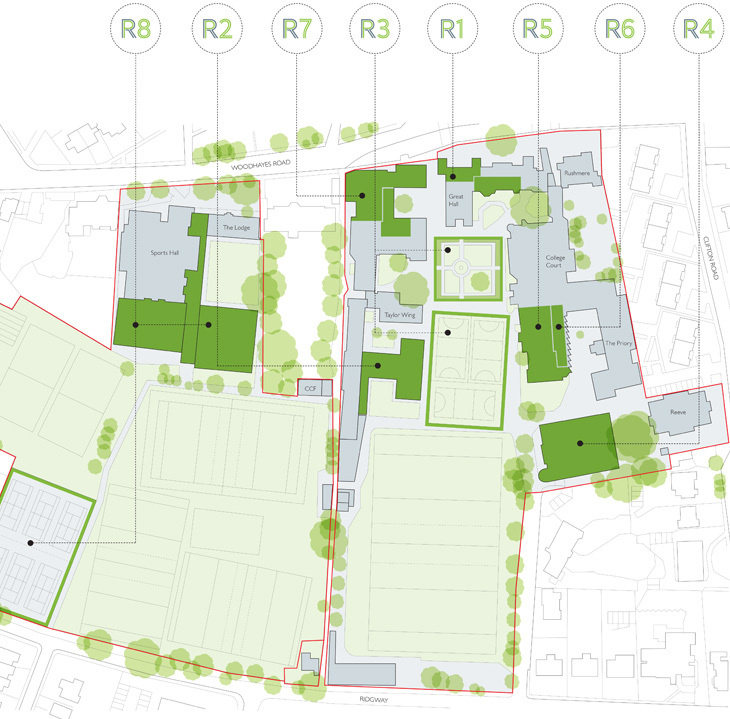 Designing 27 panels that can be moved around the building site as it progresses, the hoardings provided an historical timeline of how the school has grown to date through to project specific details. Alongside the need for financial support for the physical buildings, we worked with the school to create a single piece of communication that also focused on providing bursarial support, offering a King’s education to talented and bright children regardless of their family background. The concept, Walls and Bridges, uses a mix of illustration and photography.